The BOB Boxing Opponent Bag is perfect for practicing self-defence, striking, and kicking techniques for Martial Arts such as Karate, Tae Kwon Do, Sparring, Kenpo, Kung Fu, and Kick Boxing. The covering is made of durable, high-strength Plastisol and an inner cavity packed with tough urethane foam. 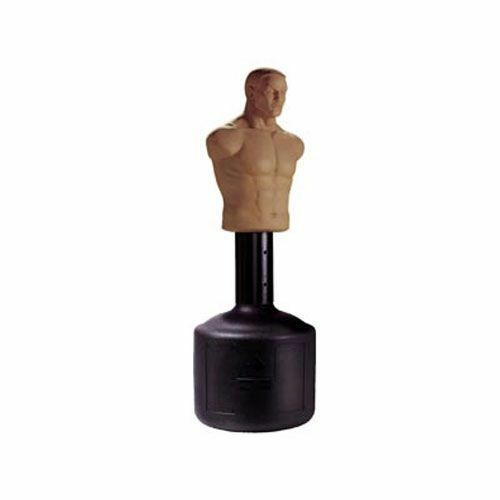 The BOB Boxing Opponent Bag is a unique, enjoyable and thoroughly effective training aid and you will for certain notice the difference in your fitness, reflexes and agility after just a few weeks' use. Height adjustable from 5'10" to 6' 2" (8 adjustments). for submitting product review about BOB Boxing Opponent Bag.